So you know how you just stumble upon things sometimes? Well, that is sort of what happen to me today. I finally got the chance to play with my new Gelli Plate and I had a great time. Since these are paint dabbers, I went ahead and shook them up and unscrewed the top and just poured a little here and there on my Gelli Plate. I used Barn Door, Chipped Saphire and Mustard Seed (the only few that I have haha!) Sorry the picture is a little dark, I was rushing. So this is the really cool part. 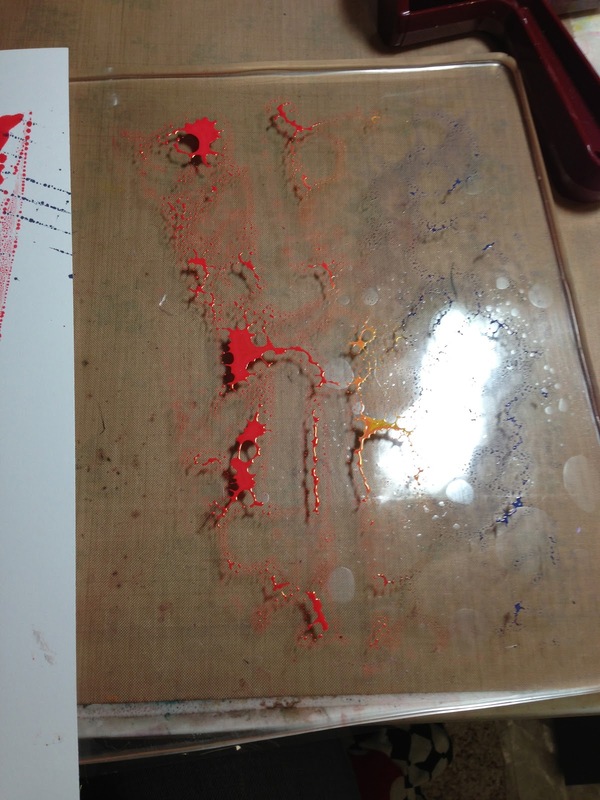 I started to spread it with my brayer and it magically just moves on its own. It's so neat and makes this really cool effect, all on it's own. The second picture here is what it looks like after a few seconds of sitting on the plate. HOW COOL!! I really like how it just moves on it's own. I really am loving the background that I got. I had some leftover paint, which didn't seem like much. 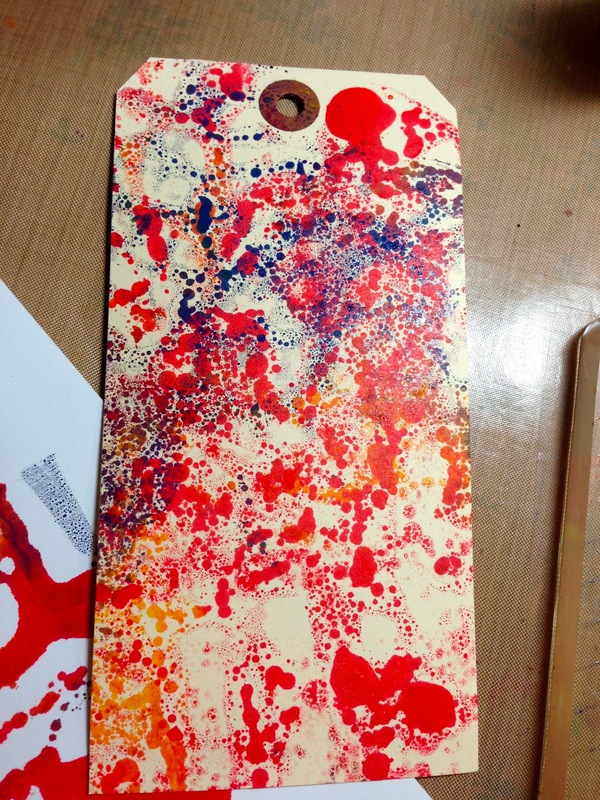 I pressed a tag into the plate to soak up the rest of the leftover paint and this is what the tag looked like. WOW, look at how much color was still left here. I love this too. Both backgrounds came out really neat looking. 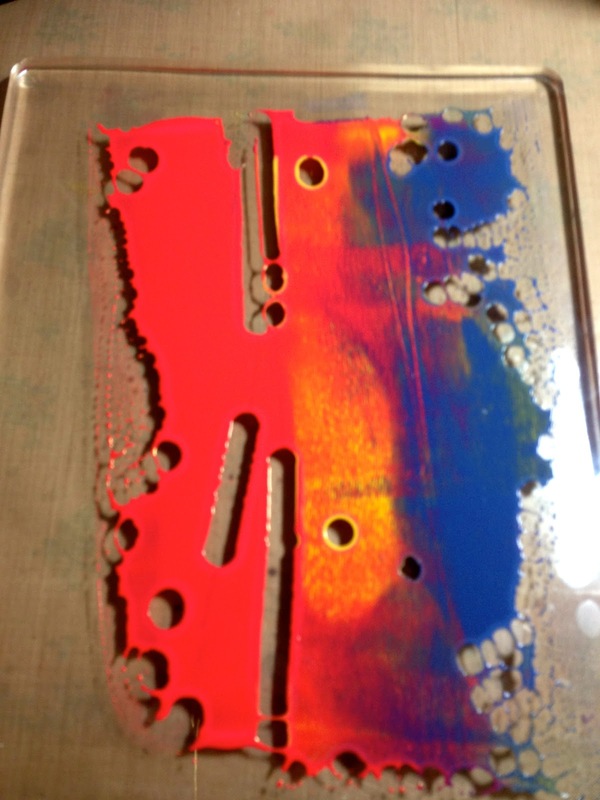 I can add stenciling or whatever on top to make a layered look. So, you know me right? I had to do something for the challenge over at Simon Says Stamp and Show - The theme this week is "Ever After".. you are to do something Fairy Tale inspired. I decided to use the first background I made and make a card. I used my digi stamp from the The Octopode Factory and colored her with Tim's distress markers. I also used a cut out heart from Tim's movers and shapers Valentine set to cut out the heart. I used a stencil and some Black Soot distress ink to make the brick wall in the upper corner. Look at how beautiful those paints are and how they just pop off my background here. I cannot say enough about them. If I weren't on a budget I would get many, many more. haha!! Eventually, right? Note: I have no idea why my font keeps getting larger and then smaller, sorry about that. this is fab claudine..love your little octopode abd the paints are great. 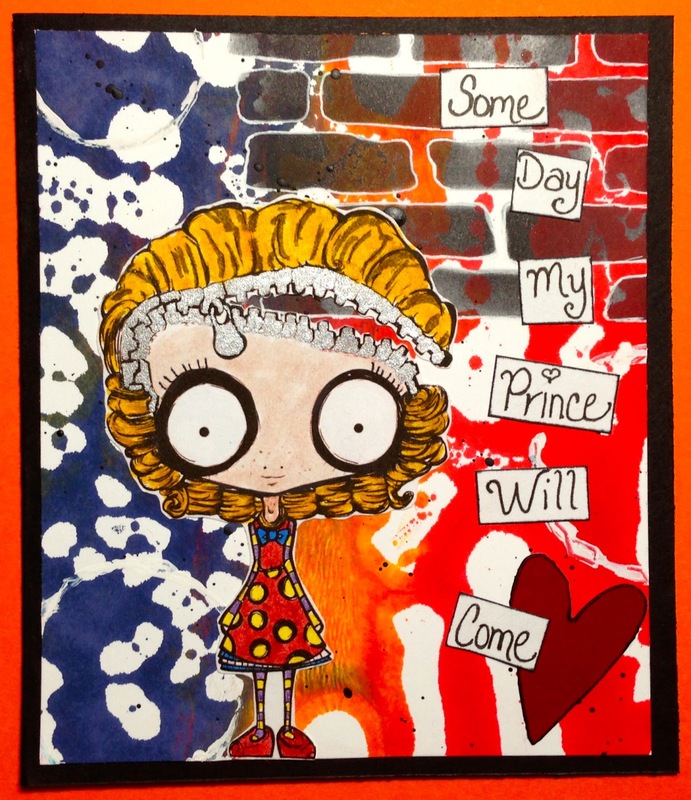 I am awaiting mine in the mail...love your art. 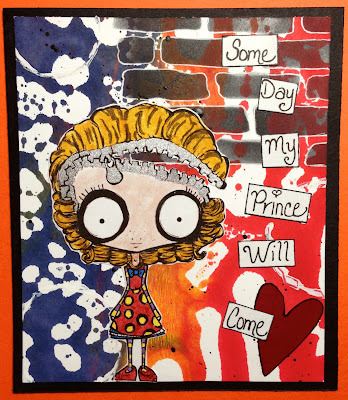 Great card, and I love the explanation of how you used the Gelli plate, it looks like you had a lot of fun! :) Thanks for joining us for this week's Simon Says Stamp and Show Challenge! Thanks for the new Tim paint tips! Looks really cool. Cannot wait to get my hands on some....not readily available around here yet. Looks great... love my Gelli! Your prints are fantastic. WOW - I was wondering how the paints would work just last night as I was playing with my Gelli Plate. They look so amazing. How amazing that looks. 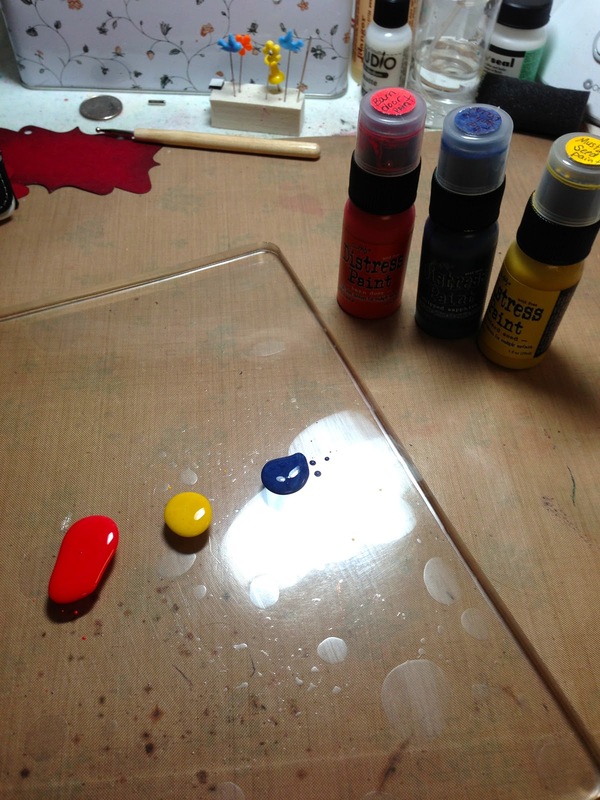 i was wondering how tim's paints would work when i was using my Gelli plate last night but was afraid to try. Now i see i can get an amazing look! thanks Claudine! Claudine - you are a saviour! 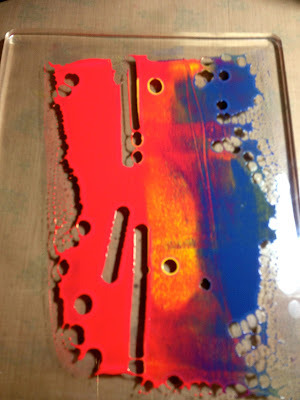 I have been given a gelli plate and was wondering if the Distress Paints would be OK to use on it. I CAN! Wow - can't wait to try these for myself. Love your work. Thank you. So, so cool Claudine! Now I want me some distress paints!! 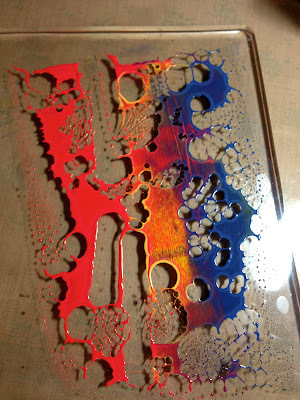 Was wondering if you got out your gelli plate yet so I stopped by your blog to find out :) Good luck on the challenge. Very fun! 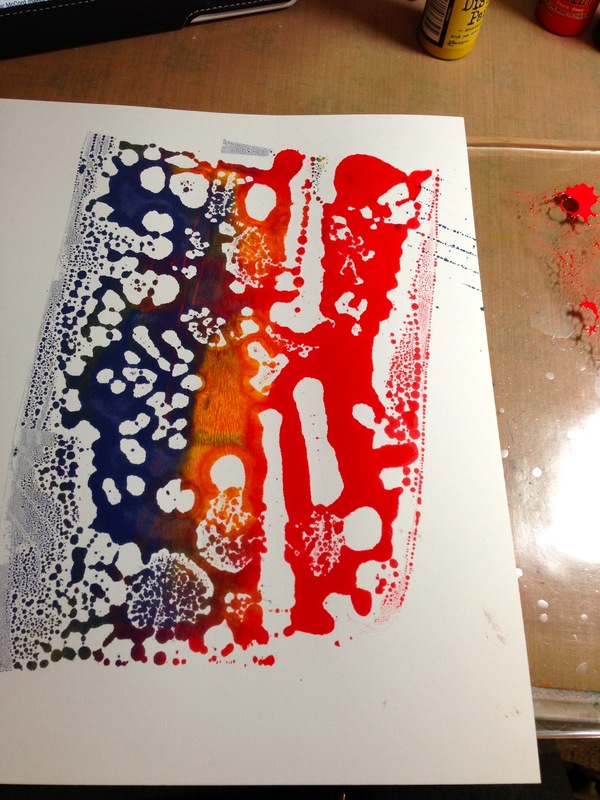 I so have to get my Gelli plate out! Aren't those paints fun? These image is crazy! Great sentiment...hilarious! Thanks for showing us your magic at Simon Says Stamp & Show this week!